In celebration of former WCW star Sting returning to WWE pay-per-view at WWE Fastlane 2015 I figured I’d feature a clip from the company of another former WCW talent, Alex Wright. Although Wright may be remembered more for his personality and silly dancing he was actually an incredibly underrated talent. It is fitting that since 2009 he has run New European Championship Wrestling (NEW) to showcase some great young European talent that otherwise might not get as much exposure. One such talent is Jessy Jade who was just 18 year-old when she wrestled Melanie Gray at NEW Provocation 3 in February 2014. The feeling out process of this match picks up when Jade delivers two armdrags and a dropkick. Jade firmly takes control of the match with a back elbow off the middle rope followed by a headscissors takedown. Jade doesn’t stay in the driver’s seat of the match long and catches a back elbow from Gray followed by a big sidewalk slam. 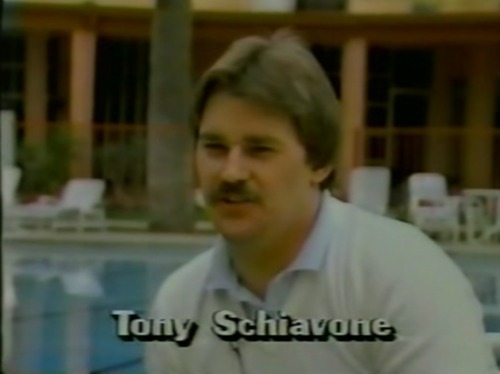 I have a feeling Tony Schiavone would have really liked that one. Gray executes a side slam then a clothesline into one corner followed by an Irish whip and a clothesline into another corner. Jade battles back with some strikes, but Gray performs a beautiful bridging gutwrench suplex. With the match winding down Jade pulls ahead one more with an armdrag variation followed by a dropkick into one corner. She then wallops Gray with what turns out to be the only top rope move of the encounter. For the finish Jade puts Gray away with a Samoan drop. The next NEW show will be NEW Retribution 3 on March 7 in Hessdorf, Bavaria, Germany. Click here for tickets (site is in German). For the full results of NEW Provocation 3 click here. For more in the 25 and Under series featuring talent from the great continent of Europe click here and here.